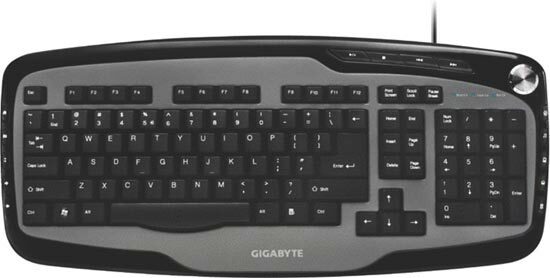 Gigabyte has announced a new range of mice and keyboards, which it will show at CeBit later in the week. 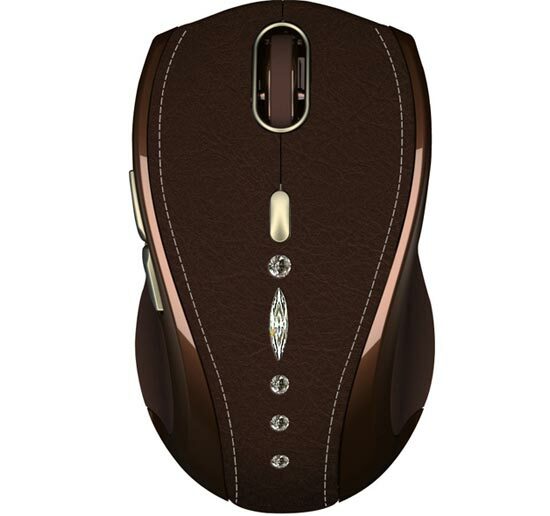 Included in the range is the GM-M7800s wireless mouse (pictured below), which has a 1,600 dpi resolution, and as you can see from the photo s finished in leather and Swarovski Crystals, I wonder how much that one is going to retail for, it is bound to cost a few quid. Also in the range is the GM-M8000 laser gaming mouse, which features a 4,000 dpi sensor, 5 programmable buttons, a scaling-designated switching buttons, and up to 3 different macro profiles allowing you to switch between then for different games. There are also two new keyboards, the GK-K6800 (pictured below), which is designed to be a full multimedia keyboard with a built in volume wheel and a bunch of multimedia keys and Internet hot keys. The final keyboard in the range is GK-K7100, which is an ultra slim keyboard, featuring 18 multimedia hotkeys and a glossy surface design. There is no word on pricing as yet, we will update the details later on on the week when these new keyboards and mice are shown off at CeBit.